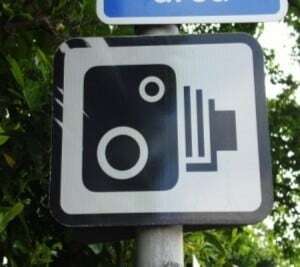 Some of the worst speeding offences of the last year have been highlighted following a Freedom of Information request by the Institute of Advanced Motorists (IAM) to police forces across the nation. Two drivers were both arrested after being clocked at speeds of 146 mph when travelling on the M25 by Kent police. Meanwhile, of the 41 forces contacted by the IAM to provide evidence, 36 responded and all stated they had arrested individuals for travelling at speeds in excess of 110 mph in recent months. Perhaps one of the most shocking developments was the case of an individual arrested again by Kent police, who was clocked at 128 mph driving on London Road in East Grinstead. This was an all the more harrowing case, as the road itself was in a residential area and had a speed limit of just 30 mph. IAM chief executive officer Sarah Sillars commented: "At speeds of 140 mph an individual is travelling at nearly two-and-a-half miles a minute. At that speed it is simply impossible to react to anything that might happen in front of you. "It is also impossible to handle corners, gradients, street furniture and junctions with any effectiveness. In short, all these individuals are playing with their own lives and others – they are all accidents waiting to happen and it requires a major shift in the attitudes of these people to think about safety." Ms Sillars added that motorists need to understand the dangers of excessive speed and act responsibly every time they take to the roads. The IAM is now lobbying the government to change the way in which motorists in the UK are educated regarding road safety and learning to drive in general, with an increased focus on graduated qualification and ensuring individuals understand that the process of becoming a safer driver does not stop as soon as someone passes their test.